Not very user-friendly website. There are no actual plan descriptions for Shared hosting. The only displayed for them is the price and disk space amount. Also, there is only Russian website version. 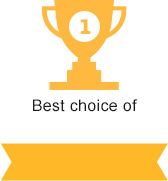 On the other hand, EuroByte offers nice discounts for all of their packages: 10% off, if purchased for 6 months and 20%, if purchased for 12 months. Moreover, the company offers a lot of unlimited features for Shared hosting packages: domains, databases, bandwidth etc. Additionally, the prices are quite low: starting fro, $2.37/mo. What’s more, EuroByte offers separate CMS hosting. You can choose amongst the following CMSs: Joomla, NetCat, HostCMS, WordPress, Drupal, Umi CMS and 1C-Bitrix. VPS hosting looks better. Tech specs are described and the prices are fairly low. For instance, the most expensive package (at $120/mo) includes 16 CPU cores, 32Gb RAM and 500Gb SSD disk space. The company does not provide Dedicated hosting packages. Currently, EuroByte offers 30-day trial period for all hosting packages. To get the free Shared hosting package, it is required to add minimum $0.75 to your account balance. For VPS hosting you’ll need to add at least $4.50. Monthly, semi-annual and annual cycle is available for all Shared hosting packages, including CMS and VIP hosting plans. The following cycles are offered for VPS: monthly, quarterly, semi-annual and annual. ISPmanager is included to all Shared hosting packages. For VPS hosting plans it’s possible to use ISPmanager or Vesta. ISPmanager is at $3.75/mo. VPS servers plans have their usual CPU core, RAM and disk space limits that are indicated in the plan description. As for Shared hosting, the number of domains, MySQL databases and email accounts is unlimited. The bandwidth should be unlimited as well. Additionally, depending on the package, CPU usage limits vary from 15% to 100%. Also, scripts and process limitations can be found in the ToS (Terms of Services). There is not much information regarding servers security. Anti-DDoS protection is included to each package. Backups are created every 48 hours for Shared hosting package.However, they are not automated for VPS packages. Though, you can find the instructions how to configure automated backups in ISPmanager. CloudLinux runs on Shared hosting servers, including CMS and VIP hosting. For VPS hosting it is possible to install CentOS, Debian or Ubuntu. EuroByte provides 24/7 ticket support. It’s possible to submit a ticket only from the account after registration. It’s quite hard to locate where you can submit it or ask the support team a question. The support representatives are quick and fairly accurate. In addition, in case you need help with your website or VPS administration, maintenance and software set up, you can purchase advanced technical assistance at approximately $15 per hour. The company does not provide a knowledge base. Instead, they have a small Q&A section that covers only very basic topics. Generally, the company makes mixed impression. On one hand, we have the lack of information regarding Shared hosting packages, a weak knowledge base and the absence of an English version of the website. On the other hand, the VPS packages price-quality ratio is very good and the Shared hosting package pricing is fairly low. Nevertheless, we assume that this hosting is worth a try. What is written about in reviews of eurobyte.ru most often? Hosting is excellent, there are cheap unlimited pricing plans. There were no problems with my sites, and, most likely won't be in the future. Everything works, there were no technical issues. (I have used them for 4 months). There is a high load tolerance on the processor, plus pages load quickly. Support service answers in five seconds, even at night. It's a good hosting company. Support always helps with setting up vds servers. 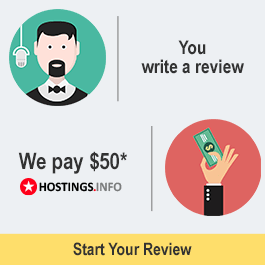 The prices are acceptable so I recommend this hosting provider to everyone. They have very high uptime. Support is good. The only thing that could be improved is the control panel for domains and sites. I host more than one site here, I use the cheapest plan and there are no problems. I've been working with Eurobyte for more than 2 years and I am completely satisfied. It's always stable (there were no interruptions to site access). Support is always online, and will help solve any issue - sometimes they even did part of the work for me. And the price is the biggest plus (only 69 rubles for 500 MB per month). Besides, on this hosting you can host any number of sites. We, as a news resource, approached the choice of a hoster very seriously, especially regarding their ability to provide modern, high-quality, reliable hosting, with a highly qualified support service. So we, after testing and analyzing, and studying the opinions of users, made the choice in favor of Eurobyte, as the company fully meets all our requirements. When I had questions, support fixed my problems in 2 minutes. I was very satisfied with the work of tech support, and I'm especially thankful to Igor Svetlov, who helped me to do everything.